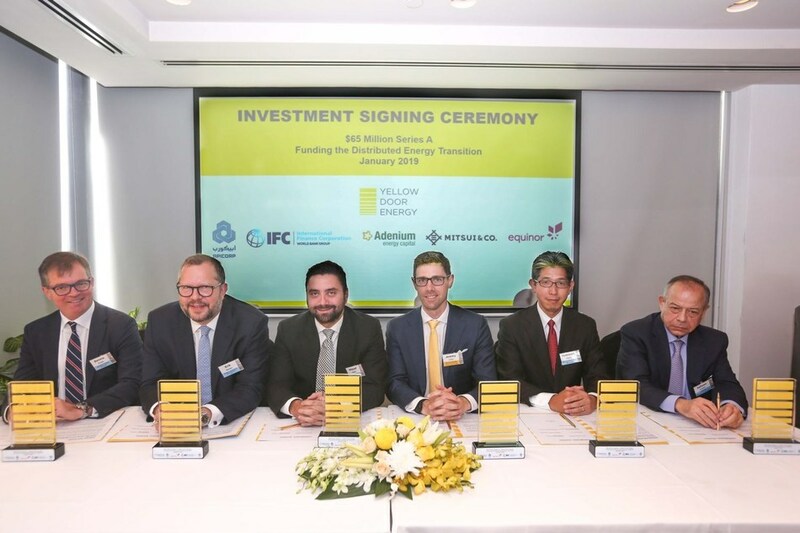 UAE-based leading solar developer Yellow Door Energy, raises US$ 65 mn to expand clean energy investments in the Middle East and Africa. This is one of the Middle East’s largest private placements in distributed solar. The investment comes from International Finance Corporation (IFC), a World Bank member; Mitsui, Japanese trading & investments company; corporate venture funds firm, Equinor Energy Ventures; Dammam-headquartered multilateral development bank, Arab Petroleum Investments Corporation (APICORP); and UAE-based Adenium Energy Capital (Adenium), the founding investor of Yellow Door Energy since 2015. The investment is expected to scale Yellow Door Energy’s energy platform from the Middle East to Africa and Asia, as it aims to build 300 megawatts of solar in the next two years, benefitting hundreds of businesses and the broader economy, the company said. Yellow Door Energy provides solar leases and energy savings contracts to commercial and industrial businesses to help them reduce energy costs, improve power reliability and lower carbon emissions.